What are “Premises Liability” Claims? Trip and fall on stairs or steps that are not built to code or are otherwise unsafe. 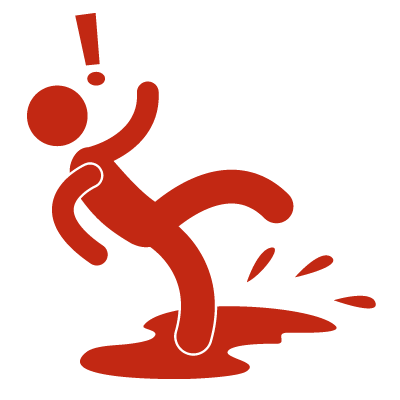 Slip and fall on ice — or a slip and fall due to a liquid spill. Trip and fall caused by faulty carpet or flooring. Assaults at businesses with inadequate security. Injuries due to faulty construction or other unsafe building conditions. If you’ve been injured on someone else’s property, but don’t know whether you might have a claim for damages, play it safe — call Craig Gustafson and get a free case evaluation, 816-960-7121. You will get prompt and personal attention from an experienced attorney who will talk with you about how you (or a family member or loved one) were injured, whether you have a viable claim, what damages you can recover, and what steps need to be taken now to protect your rights. Promptly get the medical attention you need to address your injuries. Don’t put it off until tomorrow. Take photos of the condition which led to the injury – this is especially important in situations where the dangerous condition is temporary, such as a liquid spill or a snow/ice condition. Take photos of your wounds and injuries caused by the accident – and continue taking photos to document the progression of your injuries. Promptly engage a personal injury attorney who will enthusiastically represent and protect your interests. If the injury happened at a place of business, it is possible that the accident was captured on surveillance video. If so, it is critical to immediately hire an experienced attorney who can take the necessary steps to make sure that the video is preserved and not destroyed in the normal course of business – this can make a HUGE difference in the success of your personal injury claim. It is not in your best interests to give an oral or written statement to the insurance company about the circumstances of the accident. The insurance adjuster may pretend to be your friend and may suggest that he/she just wants to help, but be aware – the insurance adjuster is not in your corner and is not interested in protecting your rights. You have no obligation to give a statement to the insurance company. Your best course is to hire Gustafson Law and let Craig protect your legal interests, and then you can focus on recovering from your injuries.